Over the past two decades, we’ve created many websites which contain helpful resources for spiritual Awakening, inspired by the teachings of David Hoffmeister. Below is a sample of the best of these websites—resources that will be invaluable to you on your journey. Take your time in browsing through the list below and exploring these many gems. We are offering a new global experience: Living Miracles Virtual! LM Virtual offers free, online, interactive, planned and spontaneous multimedia events and movie gatherings. David’s new audio site is an oracle of Awakening! Sign up now for easy access to the deepest David Hoffmeister ACIM audios. Golden nuggets of Enlightenment ensure a sparkling result for every search. All you have to do is type in a key word, phrase, or topic and you will access a number of talks that address the very question on your heart. David’s talks share how to stop managing anxiety and fear in order to actually heal them. It’s practical and it’s powerful! Wake up with the movies! 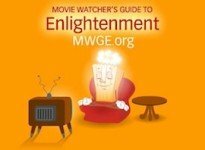 Our online Movie Watcher’s Guide to Enlightenment (MWGE) is a subscription-based site which offers invaluable resources to help you watch movies in an entirely new way! Allow David’s multimedia movie setups, mind tools, and emotional index to guide you from entertainment to Enlightenment! The home page of our Living Miracles community inspired by David’s teachings and presence. Here you will find links to free videos, free MP3 audios, our online Mystical Mind Training program, and more! For those of you wanting to volunteer, collaborate, or to be connected in any way to our Living Miracles community, this is a wonderful new website called Circle of Support where you can create a profile and express interest for whatever level of connection you feel inspired to have with us. It is also a portal for finding out about nearby events, local ACIM groups that are using David’s materials (Unwind Your Mind Back to God, Movie Watcher’s Guide to Enlightenment, etc. ), or how to start your own group. David’s YouTube channel on which he posts hundreds of hours of video footage from his inspirational talks. Dive in! Free A Course in Miracles audio recordings from David’s best talks over the years. Experience the practical application of the teachings in these recorded sessions. It’s like being at a retreat without having to be at the retreat! There are many resources available and various ways to experience them including multimedia programs, YouTube videos, audios, books, and more. This is a website that is rich in the most important wealth available: The riches of the Spirit. A comprehensive page on all things related to David Hoffmeister including his social media pages: Facebook, Twitter, Pinterest, and more. This is an interactive, fun, and helpful page with portals to many of his other websites, audios, and videos. Whether this is your first time learning about David or you are already familiar with his teachings, this is a great place to discover what’s available! Living Miracles Mystical Mind Training Program (MMT): This is an online practical multimedia training program helping ministerial trainees, miracle workers, and teachers of God experience inner peace. This site is dedicated to being about our Father’s business! This A Course in Miracles site is a portal to our most helpful resources for spiritual Awakening, David’s teachings, and additional resources developed by the Living Miracles community. Here, you can find videos, audios, music inspired by David, writings, social media, mind training programs, and much more. These profound resources support the mind in the practical application of the teachings in A Course in Miracles. The community website for Living Miracles worldwide. A beautiful collection of MP3s from David’s teachings in the U.S., Europe, and the South Pacific. The Living Miracles online store—with David Hoffmeister’s books, e-books, CDs, DVDs, streaming video downloads, music from inspired artists, and more! 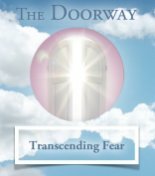 Advanced non-dual teachings from A Course in Miracles and a study aid for those who wish to master these teachings. This online library comprises a complete pathway to God! Homepage for the Foundation for the Awakening Mind, the original non-profit that was formed to help share David Hoffmeister’s teachings. Here you can access lots of multimedia resources for Awakening: Music, videos, writings, and audios. A website which highlights the non-dual nature of David’s teachings. God is. Website for the Foundation for Inner Peace, the organization that published A Course in Miracles. We honor and support the work of those that have gone before us!